After struggling with depression and anxiety most of my life, I'm now dedicated to becoming a stronger person who lives life to the fullest. My 22-year-old niece, Samantha, struggles in many of the same ways I did at her age with depression, social anxiety, and self-harming. She wears long-sleeved t-shirts even on the hottest summer days to cover the carvings she made in her arms with broken pieces of glass. I took a more passive route to conceal the pain, numbing my feelings for years with anti-depressants and walking through life like a zombie. My niece and I both grew up with absent fathers, not through death or divorce, but by their emotional disengagement from our families. 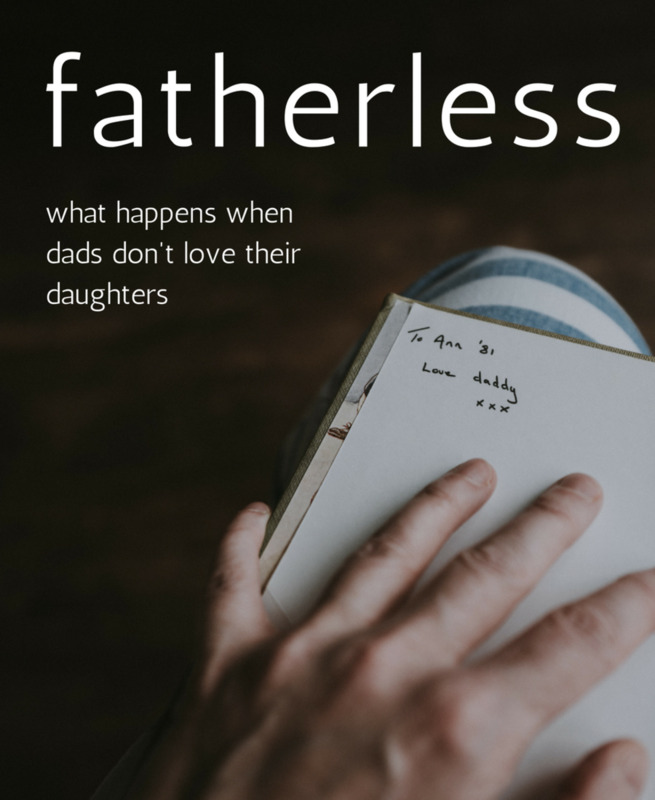 She and I, like one out of every three women, identify ourselves as fatherless daughters—a designation that's beginning to get noticed as more of us speak out about how our absent dads affected our lives. Although the tribe of fatherless daughters is not one anybody sets out to join, it's a safe place where we can commiserate, offer support, learn from one another, realize we're not alone, and move beyond victimhood. The plight of fatherless sons in our society has received a lot of attention from the media. Most of us have heard about the high percentage of male prisoners, high school dropouts, gang members, and juvenile offenders who grew up without dads in their homes. It's only recently, though, that a light is being shined on how women are affected by absent dads. 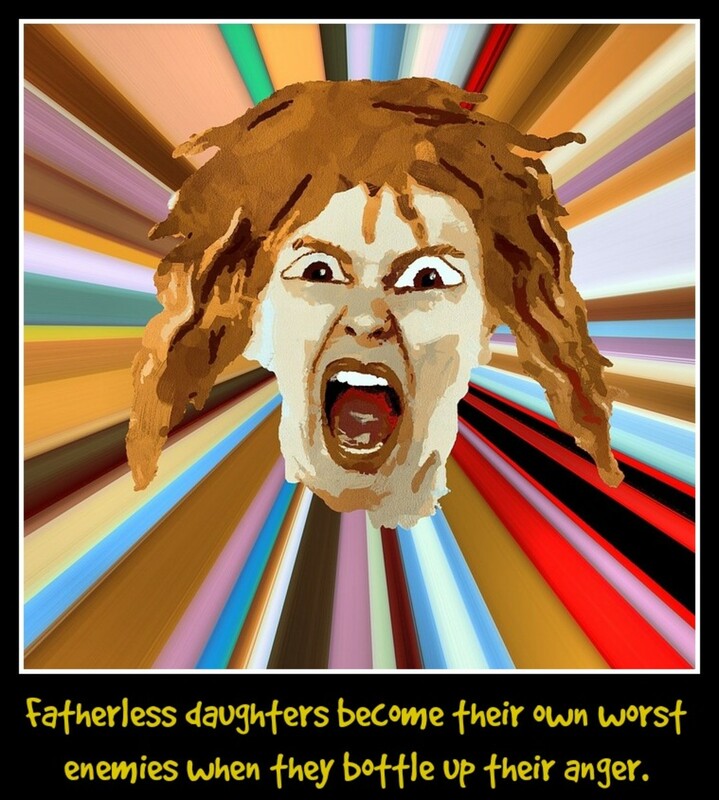 Unlike fatherless men, who sometimes turn outwardly violent to release their pain, fatherless women are more likely to inflict pain on themselves. They do this by ignoring their anger, not being vulnerable, and blaming themselves. Fatherless daughters often feel rage about their dad's absence whether it was caused by death, divorce, or his emotional disengagement. In our culture, though, feelings of anger are seen as unfeminine, unattractive, and out of control. Girls and women, therefore, often bottle them up—refusing to confront them, talk about them, or learn constructive ways to deal with them. As a result of keeping their emotions inside, many fatherless daughters become overwhelmed with sadness and despair. Sigmund Freud, the famed founder of psychoanalysis, wisely noted that depression is anger turned inward. Those of us with absent fathers unintentionally become our own worst enemies when we ignore our rage and then must deal with the disastrous aftermath. 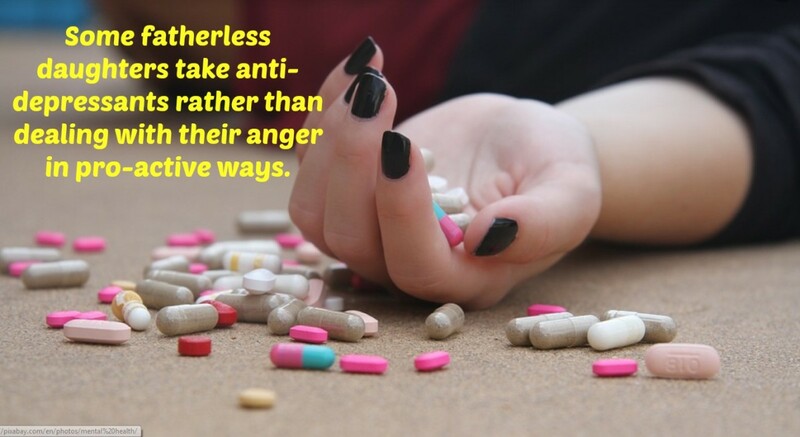 I took anti-depressants rather than dealing with my anger about my absent father. While they lifted my despair, they also took away my joy, excitement, and motivation. After getting fed up leading a flat existence on prescribed medication, I finally chose to deal with my anger in healthy, productive ways: meditating, praying, talking to trusted friends, writing in a journal, spending time in nature, and doing aerobic exercise. My niece, who has been cutting herself since she was a teen, hasn't yet dealt with the rage she feels over her emotionally absent father so she continues to inflict pain upon herself. "Vulnerability is the best measure of courage." 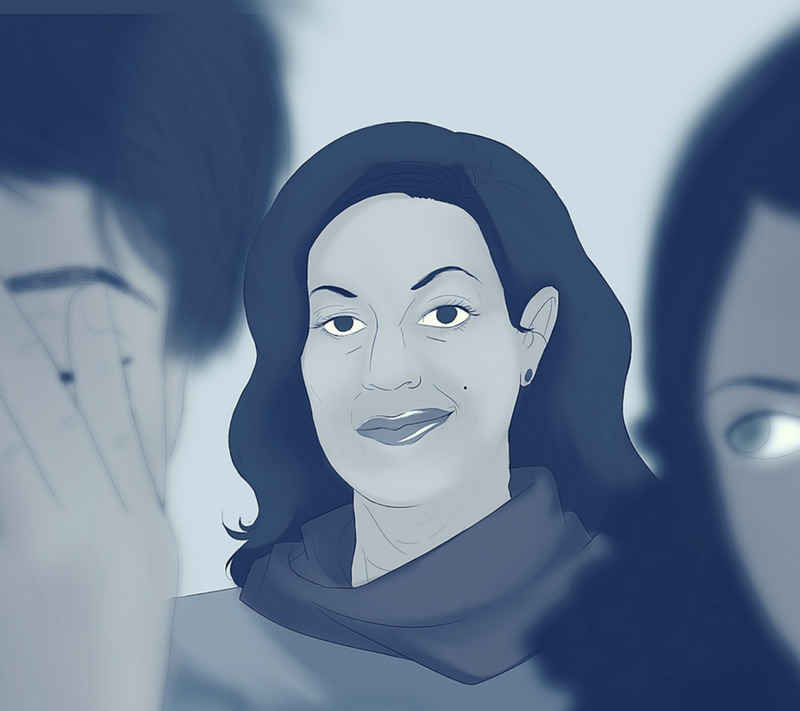 Growing up with an absent dad, fatherless daughters often battle feelings of inadequacy. They feel abandoned. They believe they're at a disadvantage in life with no dad to help them with homework, take them to the park, teach them to ride a bike, or talk to them about boys. Feeling unprotected and vulnerable, they often bend over backwards to appear just the opposite: strong and tough. This, in turn, cuts them off from others and leads to a lonely existence. Even though my dad was present in our house, he kept himself walled off from my siblings and me by being a workaholic. To deal with his rejection, I built walls around myself (practically a fortress) so I wouldn't get hurt. They took the forms of sarcasm and cynicism. I came off seeming cold and indifferent—someone others wouldn't want in their circle of friends. This left me very much alone at a time when I deeply needed connection. Dr. Brene Brown is a research professor and the author of a book all fatherless daughters need to read, Daring Greatly: How the Courage to Be Vulnerable Transforms the Way We Live, Love, Parent, and Lead. After five decades of trying to appear strong to the world, I was finally able to drop that facade, be real, and express my emotions after reading Dr. Brown's powerful words. She showed me how my need to appear invisible had kept me from enjoying my life, taking risks, and being open to new possibilities. When daughters with absent fathers don't show vulnerability, they miss out on life's greatest joys: falling in love, pursuing their dreams, traveling, building friendships, and starting a family. They're too frightened to exit situations and relationships that no longer fit and fulfill them so they simply stay put, stagnate, and suffer. Their fear of being open, losing control, and getting hurt keeps them from living life to the fullest. When selecting a frame for a photo, painting, or poster, it's amazing how the right one can add so much and the wrong one can destroy everything. The same is true in regards to how fatherless daughters frame their life stories. They can turn them into something beautiful and empowering or something ugly and debilitating. Without information and insight, daughters with absent fathers often grow up telling themselves horrible tales: I'm not good enough to get my dad's attention... If only I were more beautiful, athletic, or popular, he would love me... He doesn't want to spend time with me because I'm a loser...He left because I was too much trouble. Without a sensitive and mindful adult to give them answers, daughters of absent fathers fill in the gaps with thoughts that are incorrect and place the blame squarely on their little shoulders. My mother was too busy taking care of my siblings and me to notice how much I was hurt by my father's negligence. She never explained to me that he was a workaholic and what that meant. I, therefore, filled in the holes with the misconceptions of an egocentric child, believing he was always at the office because I wasn't cute enough. I thought if I had blonde hair and dimples he would love me. This led to a lifetime of hating how I looked and an obsession with changing my appearance. Until quite recently, my sister never talked to my niece about her dad's narcissistic tendencies. Without any explanation for her father's standoffish behavior, Samantha had come to the conclusion that she had been unwanted by him. While growing up, she stayed away from him as much as possible, believing he wanted it that way. In reality, he struggled at getting close to anyone, not just his daughter. After childhoods filled with blame and shame, daughters with absent fathers have a duty in adulthood to say, “No more!” They need to take away the hideous frames that have enclosed their lives and make way for gorgeous ones. The negative tapes playing in their heads should get silenced and replaced with affirming messages. Most of all, they need to live in the here-and-now and not let their painful childhoods keep them victims forever in their minds. Why do I care more about my girlfriend than my kids? You have a sexual relationship with your girlfriend that bonds you, excites you, and makes you feel good. You have fun together, share relaxing moments, and have stimulating conversations. 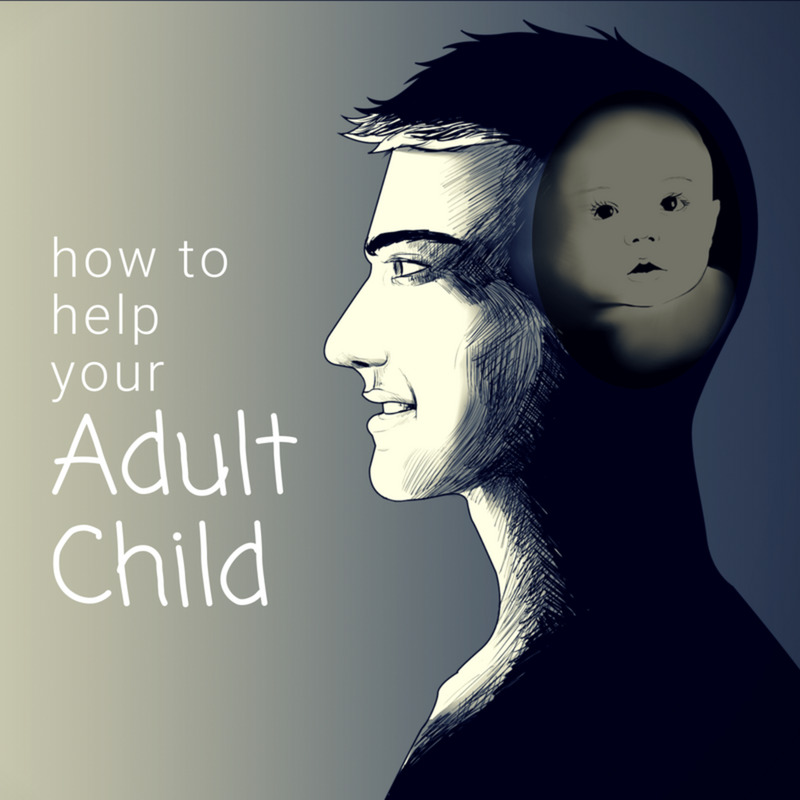 A loving relationship between two adults is largely reciprocal while the relationship between parent and children is largely one-sided; you're doing the giving, and they're doing the receiving. You're morally and legally obligated to support your kids while time spent with your girlfriend is your choice, not a duty. For all these reasons, you may care more about your girlfriend than your kids. What's most important, though, is not how you feel or why you care more about one than the other. It's about your behavior. If you have deeper emotions for your girlfriend, that's okay as long as you're fulfilling your responsibilities as a dad and making your kids feel valued and loved. Remember, girlfriends can come and go, but your kids are forever. What you put into the relationship with them now will pay dividends for the rest of your life. While my father lived in our home, he was emotionally detached from my siblings and me because he was a workaholic. He was always busy with his job (or relaxing from his job), so we got the message that we weren't worth his time and effort. Now that I'm a parent myself looking back at childhood, I'm shocked that my dad never read me a book, never took me to school, and never helped me with homework. I can't recall a single incident when I was ever alone with him. I love how some dads have “dates” with their kids, taking one at a time to do something special. Having that one-on-one time with a parent builds a child's self-esteem and makes them feel seen and heard. It's really valuable that a parent has this exclusive time with a youngster to get a sense of what she's thinking and feeling. Many kids today are depressed and anxious because of social media—a world where everyone but them seems to be picture-perfect, carefree, and having fun. Moms and dads need to be aware of that, talk with them about it, and put it in perspective. Don't beat yourself up about your feelings. They're neither good nor bad; they just are. Focus on your actions. Spend time with your kids and have fun with them. KO, it sounds like you're highly motivated to heal and are on your way. My father didn't have the emotional intelligence to be a good dad either and realizing that has brought peace. It wasn't about him not loving me; it was about him not being able to love. I hope you find a supportive group because you have a lot to offer others! Thank you for your kind words. I am so glad I found your articles and a sense of commonality with others. It seems so unfair that a father's actions can determine their daughters life trajectory. I often get caught up in blaming my dad, and even my mom for pushing him away. But the truth is, he never had the emotional intelligence to be a good dad. I know I need to stop feeling victimized and start fathering myself, but the task is daunting. I bought "The Fatherless Daughter Project" and reading it is helping. Still a lot of work to do, though. I am between therapists, but I plan to find another soon, and I will definitely ask about group therapy. 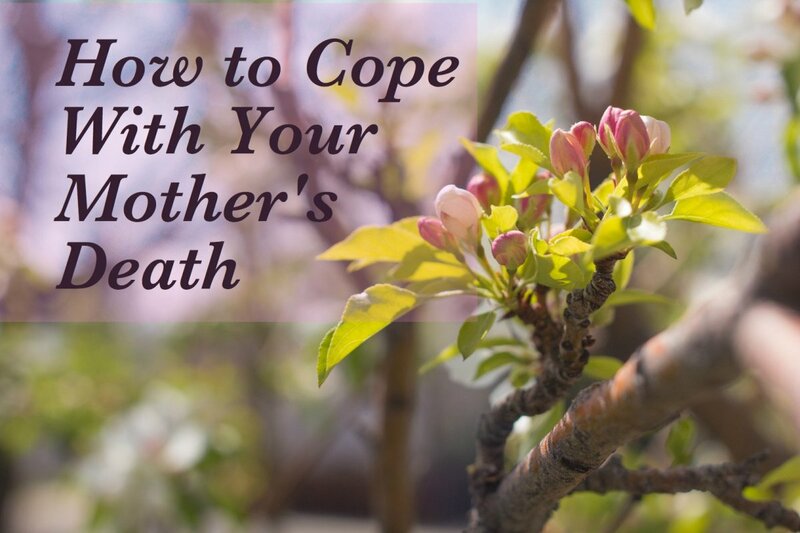 Many fatherless daughters have written me questions or made comments on this article. It's been eye-opening how many of us need to bond over our common hurt and how so many of us suffer with depression, shame, and low self-esteem. I wish you the best on your journey of self-healing. 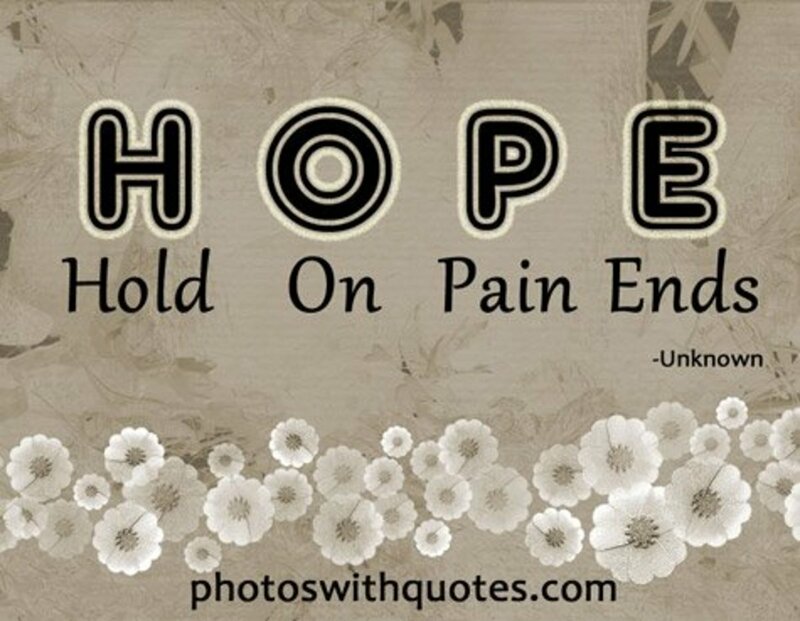 You've suffered enough so get the help you need to have peace. Three years ago I realized my dad abandoned me when I was 11 or 12, and I'm now in my late 30's. My dad came back into my life when I was in my 20's and maintained a surface level relationship with me, probably so he didn't come off as a dead beat. I unknowingly went along with it, but I still lived the life of an abandoned daughter. Low self esteem, secretly promiscuous with the "wrongest" men I could find, and absolutely toxic shame. My low self esteem turned to self loathing and then morphed into obsessive thoughts about wishing my dad dead. I confronted him this year and then cut him out of my life. I have good days, but for the most part, I'm depressed. I would love to find a group for this type of trauma, because finding people who understand is super tough. Thanks, Dora. Glad you and I can connect as fellow fatherless daughters. Now that I've started using that term and opening up about my experiences I've met so many wonderful women with their own stories to tell. They really have a need to release the hurt their dad's absence caused them. Thanks always for your support! Great advice for fatherless daughters. I'm one. Thanks for being a great help to those who suffered like you and your niece did. Happy for you that you're surviving the ordeal.